Not jump-up-and-down cheerful joy. 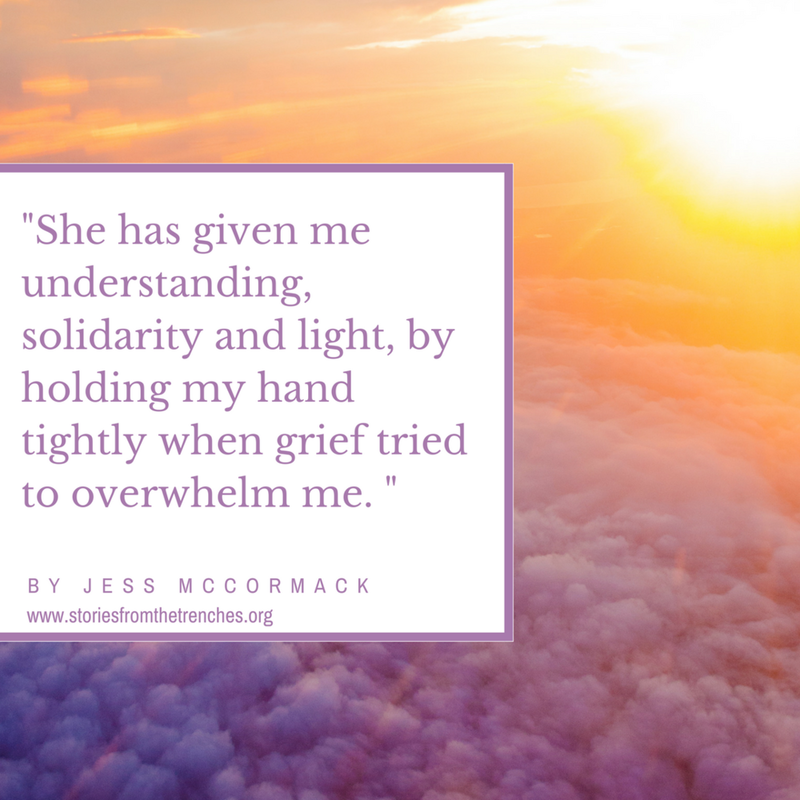 Instead, she has given me understanding, solidarity and light, by holding my hand tightly when grief tried to overwhelm me. I mean that metaphorically, for although Joy is one of the few friends who has seen the most vulnerable parts of me, we have never actually met. Just over five years ago, my baby girl died and my world became full of confusion, fear and disbelief. I did what I had done many times before, and scoured the internet for something, anything that could help to ease my pain. I returned to an infertility forum that I had drawn strength from in the years it took for me to become pregnant. Through different cycles of treatment, I connected there with other brave women, striving to grow their families with no guarantee of success. They are a powerful tribe, those treatment survivors. But after Maeve was born, I no longer seemed to belong. I had been pregnant and had given birth to a full-term baby. I had beaten infertility. And yet I still had no baby to hold. Then I stumbled upon a thread asking if anyone out there had experienced stillbirth after IVF. The respondents were small in number, but great in strength. They were the most awesome warrior mamas. That thread was started by Joy. We began to message away from the forum, sharing intimate parts of our grief from across mountains and seas. We shared pictures and stories of our baby girls, and I found an acceptance and a freedom to speak Maeve’s name, over and over again. Joy was one of the first people I told when I became pregnant again. We have supported each other through two more pregnancies, celebrating the birth of more miracle babies, whilst still mourning together the ones who never came home. We now journey through parenting after loss together, our matching scars of past battles binding us forever. In my moments of deep struggle—with grief, with parenting, with life—I still message Joy, often in the middle of the night, knowing my words will be received warmly. A “me too” is never far behind. I have a vision of us on a beach somewhere, someday: our children running in circles, splashing in the waves. Two mamas standing hand-in-hand looking to the sky, our first babies there with us in the colours that dance, in the love that emanates from our warrior souls. I can’t wait for that day, to thank Joy for all she has brought to my life, for how she has saved me, many times, and for being my friend.